Anyone who has attempted to produce a piece of half-way serious writing will know that the psychological states we go through can range from anxious anticipation, thoughtful cogitation, through anguished production, to teeth-gnashing editing and re-writes. Ronald Kellog’s excellent study The Psychology of Writing examines every one of these stages in the process. The structure of the book follows the development of writing from its (sometime) origin in thought, through pre-writing and planning [very thoroughly explored] to the varieties of text production and the psychological states which sometimes assist it (including trance and alcohol abuse). His method in each chapter is to launch the topic theoretically (Knowledge, Writing Strategies) then discuss empirical and anecdotal evidence, and finally inspect the scientific research. Some of the results are of the uninspiring ‘47% did, 53% didn’t’ variety, but the result is commendably thorough. He draws on many types of writing for his examples, yet keeps coming back (for understandable reasons) to creative writing. Why then in the attempts to ‘measure’ or explain quality in writing didn’t the exceptions to his claims not occur to him? Yes – most writers need long and hard-earned experience, and practice and skill development. But how does one explain the Rimbauds, Chattertons, and Keats of this world who were producing masterpieces at an age when the rest of us were struggling with our ‘A’ levels? I would guess that those following this line of psychological research might profit from taking (for example) concepts such as the intentional and the affective fallacy into account. There also seemed to be an unspoken assumption that the writer and reader are part of what the literary critic Stanley Fish calls the same ‘interpretive community’. A quick dose of deconstruction might not go amiss in helping to shake this idea a little. Some of the jargon might be accessible to psychologists, but I can’t help feeling that terms such as ‘relative automatization’ and ‘satisficing [sic] heuristic’ will deter many potential readers. On the other hand there were occasional inspired flashes which I wished could have been developed further – on plagiarism, ideas processors and ‘invisible writing’ for instance. Even though the prose was rather dry and the argument occasionally sagged in ploughing its way through the data, everything perked up again with the concluding chapters. The scholarship throughout is exemplary, and the book is rounded off with a magnificent bibliography and a good index. 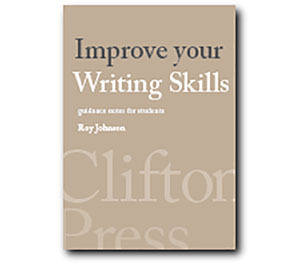 Computer users may be interested to know that there are chapters dealing with word-processing packages and outliners – as well as programmes which cause the screen to flash if your writing slows down!